Autumn and winter are a magical time of year in many traditions. Just as Christians celebrate the birth of Christ, Jews remember the re-dedication of the Holy Temple, and Wiccans mark the winter solstice, Hindus commemorate the victory of good over evil with Diwali, the festival of lights. Many of the symbols and customs of Diwali echo those of other holidays, presenting an opportunity for Universal Life Church ministers to recognize unity in diversity. 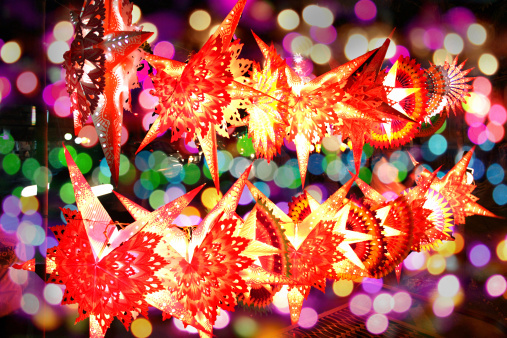 Diwali falls between mid-October and mid-November in the Gregorian calendar. For Hindus it marks the return of Lord Rama, his wife Sita, and his brother Lakshmana to the kingdom of Ayodhya after the defeat of the demon king Ravana. According to tradition, their return on the new moon was welcomed with the lighting of festive lamps; Diwali itself derives from the Sanskrit deepavali, meaning “row of lights”. Just as the menorah symbolizes Hanukkah (the Jewish festival of lights) and Midwinter marks the return of longer days, the lamps and lanterns of Diwali represent the triumph of light over darkness. But this triumph has an underlying spiritual significance: it also symbolizes the victory of good over evil, knowledge over ignorance, and the awareness of an “inner spiritual light”. In Hindu philosophy especially, there is a pure, infinite, and eternal reality called the Atman which exists beyond the realm of the physical. Recognizing this other reality leads to a spiritual awakening, which allows greater compassion and awareness of the unity of all things—a concept familiar to Universal Life Church ministers. Diwali is not all about serious reflection, though; it is also a joyful and festive occasion rich in spectacle and amusements. It operates on both of these levels just as Christmas is for Christians. Not only do celebrants mark the victory of light over darkness with bright, colorful lanterns and oil lamps, but they don new clothes, distribute sweets and snacks among friends and neighbors and set of firecrackers to ward off evil spirits. In some regions a ritual oil-bath and massage is common, followed by feasting later in the day. On the surface Diwali might seem “exotic” to non-Hindus, but underneath runs a strain of common themes and values. Just as in other traditions, wisdom and uprightness are praised over ignorance and pettiness.